"Bob completed our incorporations and partnership agreement, Kevin’s original buy-in, and now our partnership dissolution and Larry’s buy-out. At each stage, Bob thoroughly and clearly documented each transaction, was quick to respond to our questions, and completed each at a flat rate with zero problems. We would recommend him in a heartbeat." 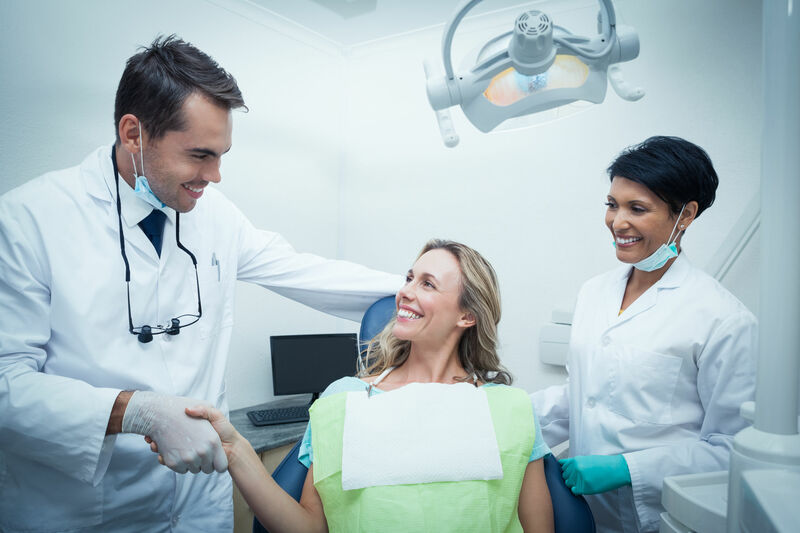 Legal consultation and documentation for California dental and orthodontic partnership formations and restatements are available at a flat rate for initial consultation and first draft, and hourly rates hereafter. Income, expenses and assets can be shared equally, prorata to workdays or production or collections, or allocated separately to the partners. The document is comprehensive, generally over 30 pages, and includes extensive practice management guidelines, partner duties, compensation formulas, allocation of expenses, and buy-out terms on retirement, loss of license, disability or death. Professional corporations for each partner (available separately) are strongly advised to avoid personal liability for acts and omissions of other partners, employees, contractors, and partnership debt. Joint representation is available with attorney's consent and clients' conflict of interest disclosures and consent. Also not included in the flat rate price, but available at hourly or flat rates, include practice purchases, lease review; purchase of real estate, SBA loan issues, fictitious name applications, and post-formation disputes and amendments. Initial partnership buy-ins require both the full practice sale and purchase documentation, plus a new partnership agreement, a full partnership restatement, or partnership amendment. Partnership agreements and restatements are available at hourly or blended rates, and partnership amendments are available at hourly rates. Intermediate buy-ins, after the initial buy-in but before the final buy-out of the retiring or departing partner, usually require far more limited documentation, which is available at hourly rates. Partnership buy-outs that leave only one partner remaining requires both modified practice sale and purchase documentation, plus a partnership dissolution. Final partnership buy-outs are available at hourly or flat rates. Intermediate partnerhip buy-outs, before the final buy-out of the retiring or departing partner, or final buy-outs with at least 2 remaining owners, usually require far more limited documentation, which is available at hourly rates. When a partnership ends, whether through buy-out, mutual agreement, or otherwise, various tax and regulatory filings, profit and loss and distribution calculations, and terminating documentation will be required. Dissolution docmentation is included in flat rate partnership buy-outs, and otherwise is available on an hourly basis. Joint representation is available at hourly rates with attorney's consent and clients' conflict of interest disclosures and consent. Tax advantages are a major reason to establish a group practice as a general partnership of multiple corporations, as opposed to a single corporation. These advantages are most significant in relation to future buy-outs or buy-ins. However, there are current tax benefits too, mostly relating to the partners' ability to choose their own solutions to tax questions without requiring approval from, or even notification of, the other partners. See the left sidebar, "Professional Group Practice Options," for details.